Use your phone as barometer. 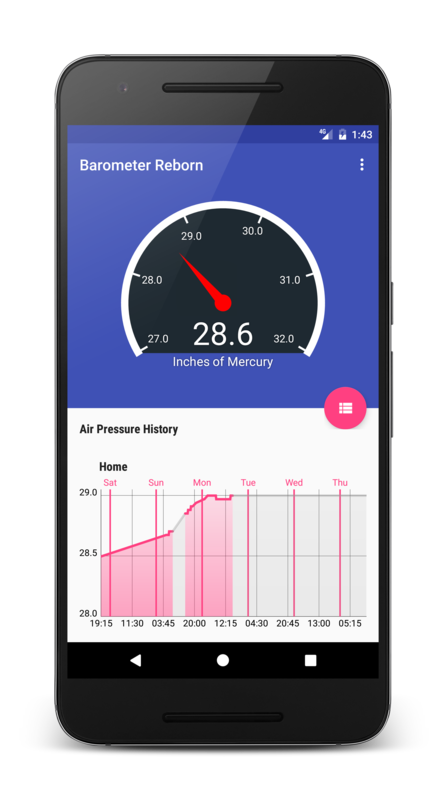 Forecast weather, check how your migraine is affected by atmospheric pressure. Be better fisherman. No ads. Chart and actual info for free! You can separate measurements by place where you currently are. There will be separated charts per every location. You can export your data in CSV value format. Don't like indigo pink color scheme? Select different in app settings. Are your blogger or journalist? Apply for free promo code. Content © by Tomas Hubalek. Website template © 2016 Start Bootstrap. All Rights Reserved.